Please ask to be put onto our email list, to make sure you don't miss news of our films and shows. 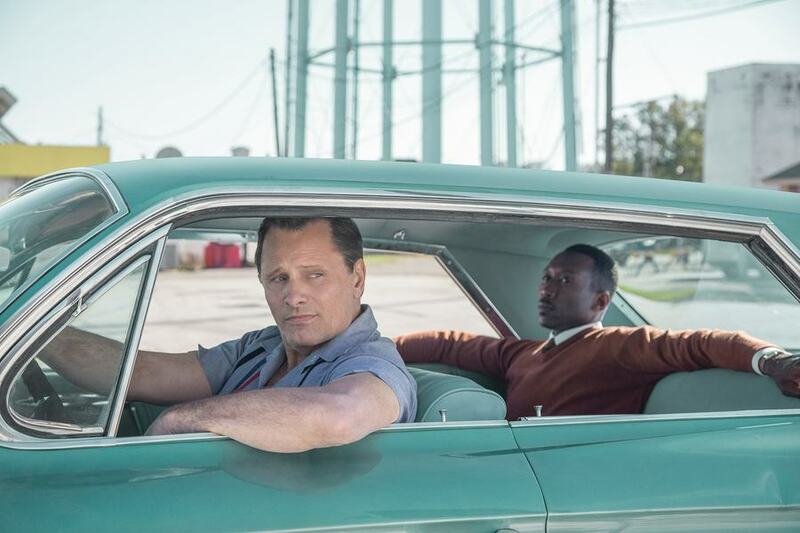 Academy Award ® nominee Viggo Mortensen (Eastern Promises, The Lord of the Rings trilogy) and Academy Award ® winner Mahershala Ali (Moonlight, Hidden Figures) star in Participant Media and DreamWorks Pictures’ Green Book. In his foray into powerfully dramatic work as a feature director, Peter Farrelly helms the film inspired by a true friendship that transcended race, class and the 1962 Mason-Dixon line. When Tony Lip (Mortensen), a bouncer from an Italian-American neighbourhood in the Bronx, is hired to drive Dr. Don Shirley (Ali), a world-class Black pianist, on a concert tour from Manhattan to the Deep South, they must rely on “The Green Book” to guide them to the few establishments that were then safe for African-Americans. Confronted with racism, danger as well as unexpected humanity and humor—they are forced to set aside differences to survive and thrive on the journey of a lifetime. Tickets for films are sold exclusively though Congleton Tourist information Centre, in the front of the Town Hall, High Street, Congleton. Please apply in person, or over the phone on 01260 270195. Roald Dahl's much-loved story follows the vain attempts of three farmers, Goggis, Bunce and Bean, one fat, one short, one lean, to get rid of the fox who regularly steals food from their farms. They try to kill him by any means possible. Outwitted at every turn, the farmers' ploys backfire. 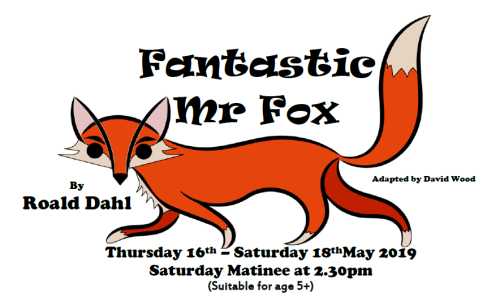 Fantastic Mr. Fox devises a plan which will ensure full stomachs for not only his family, but all his friends, who celebrate with a sumptuous feast. Adatpted for teh stage by David Wood, from the book by Roald Dahl. Directed by Rosie Peirce. Tickets: £7 (Thursday/ Sat matinee); £8 (Friday/ Sat evening). 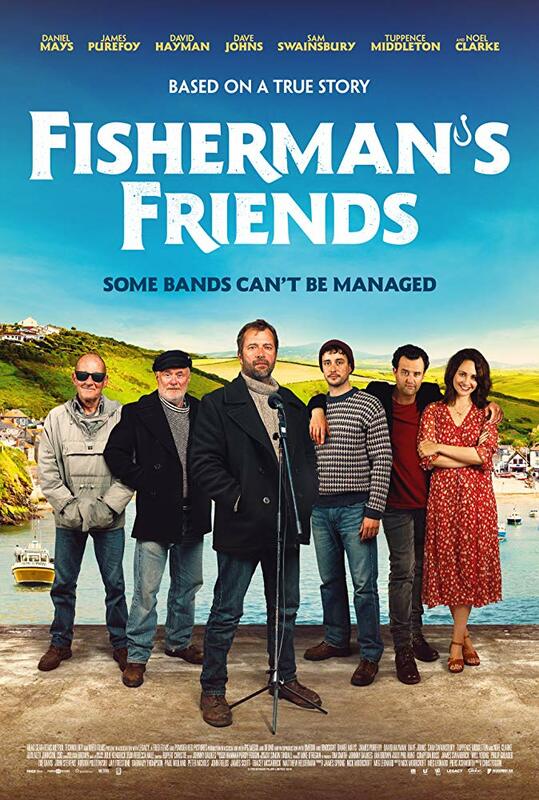 Film at Daneside is promoted by Daneside Community Theatre Trust Ltd, a registered Charity. Daneside Theatre is an independent theatre with a charitable status that aims to provide a venue for the community that all ages can benefit from. 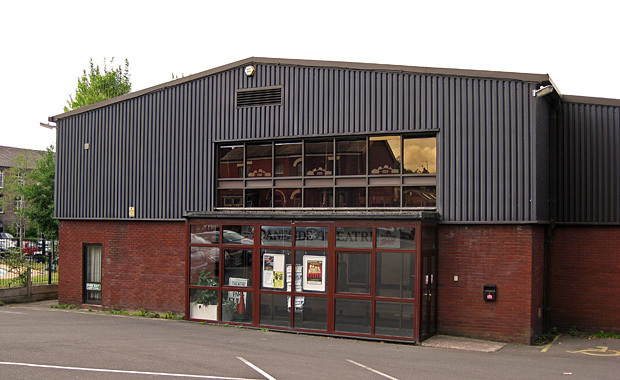 The 300-seat theatre is located just on the edge of the town centre near the leisure centre. It is the home of various amateur groups as well as being available to hire for shows. The original theatre built in the 1980s has been extended. The extension has rehearsal rooms, scenery store and provides better access and facilities for all theatre users. These facilities enable shows of all types to be staged, from plays to musicals, films to dance shows. pantomimes to concerts. So we aim to have during our season something to all tastes. For further details of our shows this current season see the What’s On section. There are two new ways that you can help us to raise the funds that we need to make this project a reality; by JustTextGiving and by Amazon purchases using our link. Please visit the Support Us section for more details. Other society contacts are on the societies page, or in the links - or call someone you know! Please support the theatre in our goal to maintain and improve the theatre. We have no central funding and are supported by the societies that use the theatre, and by you, our audiences. 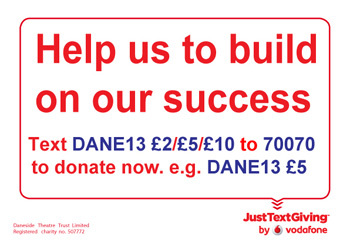 Just make a small donation, by text. 100% of your donation will go directly to our work.